The Vagus Nerve - What's the Big Deal? TO VIEW CLASS and WORKSHOP SCHEDULE, CLICK ON "EVENTS" LIST ABOVE. Phone calls (216) 789-3765 accepted between the hours of 8 a.m. to 8:30 p.m.
Don't want to drive to Yoga class? Now you can receive awesome Yoga from a seasoned professional in the privacy of your own home - just use Skype. Call for further information to arrange a group or private class. Yoga is a great way to "turn inside out." Release stress, old coping styles, worn-out habit patterns, and to basically hit the "REFRESH" button of your mind! Receive a good physical workout, in a healing environment with a masterful teacher. Michelle will guide you Home to Yourself. Yoga heals us all the way to the cellular level--physically, mentally/emotionally and spiritually. Learn effective ways to cope with stress, open your creativity, heal painful traumas, reach inside and find your natural joy and expansion--all this can be achieved through Yoga. For information about Michelle's book, click on the "Press Release" section, upper right, or, scroll down to "Philosophy and Comments" section below. You can also go to www.createspace.com/4991332. NOW, in addition to my private in-home studio, learn and practice Yoga in the privacy and comfort of your own home using Skype. TO VIEW CLASS SCHEDULE, CLICK ON "EVENTS" LISTED ABOVEPhone calls accepted between the hours of 8 a.m. to 8 p.m. Receive support as I facilitate your healing using Reiki, Psychic healing, psychic surgery, a Tarot Spiritual Insights consultation or Intuitive Spiritual Consultation. Cord cutting sessions also available. Cut the cord to unhealthy relationships and open to new boundaries and healthy relating (I teach you how). Fee: $60, call for appointment (216) 789-3765. REIKI TREATMENTS: Relax, balance and heal - $60.00 per hour (plus travel if applicable). REIKI TRAINING AND ATTUNEMENTS: Learn all three levels plus the Advanced Reiki Training/ART of the Usui Method of Reiki and receive attunements (individual or group). Reiki I - $125; Reiki II - $145; Reiki III (Master/Teacher Level) - $160. Call to arrange. REIKI FOR PETS: This is Powerful! Balances energy: if pet is lethargic, they become energized; if hyper, they become calm--it can happen in one 1/2-hour to 45-minute session. People are amazed at the results. $35 per half hour plus travel - by appointment. Fee for Yoga classes is due one week before the first class of each session. Reiki training tuition also must be received one week prior. PRIVATE YOGA instruction: $75.00 per class, 24-hour cancellation policy required for all appointments. No refunds or make-ups for missed classes unless pre-arranged. Above sessions and private classes at Home Studio or Skype online: Cleveland OH 44135 MUST make arrangement and RSVP 216-789-3765 FOR ALL CLASSES. Wellington Town Hall on the Square, 2nd floor, first door on right at top of stairs. ($10.00, multi-level, suitable for seniors/chair Yoga and active/able adults) We're celebrating our 14th year of Yoga fun at the Town Hall! 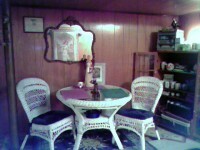 For Tarot/Angel readings, Reiki appointments, private classes, please contact me at 216/789-3765. Note: I still am teaching corporate Yoga and privately in peoples' homes. How can I best serve you? If you have any questions, just call 216/789-3765. For a preview of my book, click on the PDF attachment below. Modern. Mindful. Memorable. That's Modere. You will surely want to explore our Collagen Sciences! My joints and muscles are super strong and flexible (important for a Yoga Instructor! ), especially post-menopause. The patented matrix has Resveratrol in it to reduce inflammation and contains single-cell collagen and hyaluronic acid, both excellent for anti-aging, joint health and younger-looking skin. The Tria beverage also has DMAE in it to uplift mood naturally along with the Liquid BioCell Matrix! View the PDF attached for a Scientific Perspective usually shared with doctors. Note, testimonials share that some people with knees and shoulders "bone-on-bone" have healed with Liquid BioCell. My favorites, besides the Liquid BioCell and Tria, are the body lotion and the oral care products (the ONLY oral care products IN THE WORLD verified by the EWG--Environmental Working Group). Lacking regulation by the FDC, personal care and home cleaning products often have harmful chemicals in them. Live clean using Modere products. Add some Yoga to the mix and you're covered, inside and out! 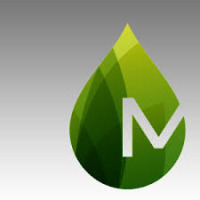 Use my corporate discount code (www.modere.com/j284481) and save $10.00 off your first purchase. Customers also receive a referral number and when you share and people redeem it, you receive another $10 off and so do they on their first purchase! Call me with questions 216/789-3765. You can also click on "specials" to go to the website. There is a business opportunity too. You can earn points toward product as a customer or earn an income as well as points toward product helping to "detoxify" our world. Contact me at 216-789-3765 for more information. *Clothing: Wear loose, comfortable clothes you can move around in (jeans do not work). Layering is helpful. *Shoes: Yoga is generally practiced in bare feet-- shoes are placed on our bookcase just inside the entrance. *Tools: We have some mats, straps, blocks, terry cloth to cover eyes, blankets, bolsters. Bring your mat if you have one (having your own reminds you to practice at home!). *Reserve your space 24 hours before class time (call 216/789-3765 to arrange a new class or reserve your space). *Notify us within 24 hours if you need to cancel (call 216/789-3765,then we can contact those waitlisted). *Attend class FREE OF FRAGRANCE OR PERFUMES. (You are welcome to use essential oils). *Maintain focus on your own body—resist the urge to stare at other students. Respect each other’s privacy and space. *Open your mind, release judgments and criticism of self or others. In her search for wellbeing and balance, Michelle Star in 1970 stepped onto the Yogic path of healing. She studied for 15 years before beginning her teaching career in 1985. 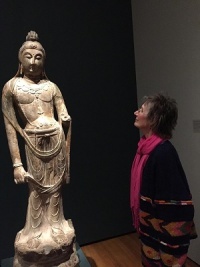 Subsequently she received teacher certifications from Kripalu Yoga and Health Center in Massachusetts, Integrative Yoga Therapy held at Kripalu and became a Reiki Master that has attuned over 100 practitioners. Michelle led the Yoga therapy classes for the Cleveland Clinic's scientific study entitled, "The Impact of Yoga on a Chronic Pain Population" in 2000 where she demonstrated how Yoga can be used as a therapeutic tool for a range of physical and emotional challenges. She taught Yoga to Clinic employees for over 5 years, interwoven with operating her own studio in Middleburg Heights. Michelle’s career has been dotted by travel as she has led classes and workshops in a 5-state region. In 2014 Michelle published her book on Yoga and psychic healing, openly sharing her journey from attempted suicide at age 23 to reveal real magic brought to her life on the Yogic path achieved through the consistent practice of Yoga. Now after 49 transformative years, she presents sacred energy and inspiration to all who attend her offerings. Michelle studied dance for 11 years and graduated Lorain County Community College with honors (3.6 gpa) with a physical education major. Even during college, her instructors perceived her natural ability and recognized her with the "Best Potential Female Teacher" award. 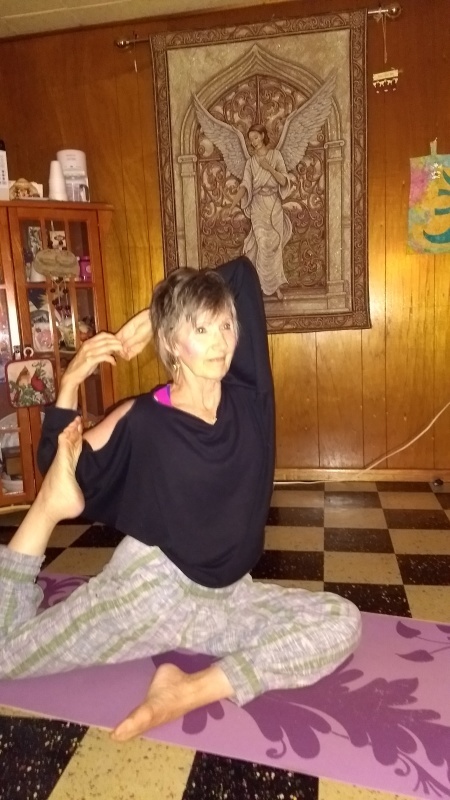 She has taught and lectured at national conventions, at the collegiate level and has herself greatly benefitted physically, mentally and spiritually from the practice of Yoga over a span of 49 years. Continuing her education and expansion, Michelle received Certification as an intuitive spiritual counselor and in the OverLight modality for Vagus Nerve Activation and the Tube Torus. Enthusiasm abounds for healthful living! During 34 years of teaching Yoga, Reiki and metaphysics, Michelle's approach has been compassionate and spiritual, qualities that sprout from her own spiritual growth. Michelle is a psychic sensitive and has natural and developed healing abilities. She has studied Yoga since 1970 and taught since 1985. Her specialty is emotional healing of traumas, and self-protection/self-esteem. She is considered a psychic (emotional) healer (her astrologer described her as "a psychic receptive tool") and uses different methods to facilitate healing, at times working with Angels/Archangels and Reiki Guides to heal issues whether physical, mental/emotional or spiritual in nature. Also, her stress management training is especially helpful for office workers (after many years' experience as a business office professional in downtown Cleveland). Since she has healed from deep trauma herself, Michelle is willing to share ways of coping with "Me Too". Just ask, now is the time. 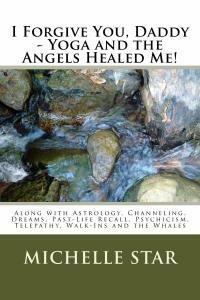 Her book, "I Forgive You, Daddy - Yoga and the Angels Healed Me! - Along with Astrology, Channeling, Dreams, Past-Life Recall, Psychicism, Telepathy, Walk-Ins and the Whales" gives testament to her life's journey investigating the deeper healing available through Yoga and meditation. (Click on Press Release and Gallery above). Available at www.createspace.com/4991332, Amazon and Kindle. Humans are evolving into more aware, more balanced beings with slightly more control over their autonomic nervous system (usually involuntary functions). It may not look like it from the news, but the good stuff is not being reported. We are evolving into a higher frequency along with the Earth-Gaia. Surely, you can feel the impact of the dimensional shifts as time and energy speed up? The Vagus Nerve is the longest CRANIAL nerve in the body (sciatic is longest spinal nerve) and travels down both sides of the medulla oblongata. It extends to the eyes, meandering down both sides of the neck (into the jaw and face), down both sides of the heart, further down through the abdomen and past the stomach and into the intestinal area. It is a large mass of nerve fibers that spreads over the chest and abdomen. The VN is responsible for our interface with the world, how we connect with others (empathy, compassion, telepathy). 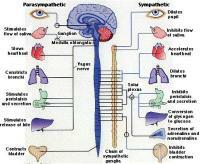 In long distance healing, the Vagus Nerve registers it--it is how we sense energy. The VN helps with obesity, extreme depression, and we can learn to regulate it and regulate our life. It helps balance emotions. Activating the parasympathetic side (relaxation side of the nervous system), the Vagus Nerve--as opposed to the sympathetic side that raises fear) reduces inflammation. It plays a huge part in longevity since relaxation is anti-aging and the Vagus Nerve is responsible for relaxation. The Vagus Nerve being stimulated will assist with people that are expressionless, monotone, non-animated and stoic. Activation will enhance peoples' VNs that just need a little assist or healing from trauma or emotional wounds. It only takes a few minutes, perhaps a half hour, unless the client needs more time. Then we come to think a little differently. Call to arrange an appointment for your activation in person, then boosters can be done when needed over the phone (also by appointment). Call 216.789.3765 or email Michelle at michellestaryoga@gmail.com. I can discuss with you how to stimulate your Vagus Nerve through a couple of gentle, easy exercises and through proper deep breathing as well as a fresh perspective on the new energy. Who knows? You might even attract more GOOD into your life! The ancient Yogis knew about this important nerve and as we raise our awareness and vibration, we become more attuned to it. Some people pay $30,000 for a vagus nerve stimulator placed under the skin, but I can show you how to keep it active as a natural health tool--call for your session.